Bruce Cheever creates magnificent scenes that allow us to ravel to many colorful, beautiful landscapes. This small village of rustic houses in the Italian countryside sits among a lush mountain forest that is the perfect background for charming, Old World serenity. 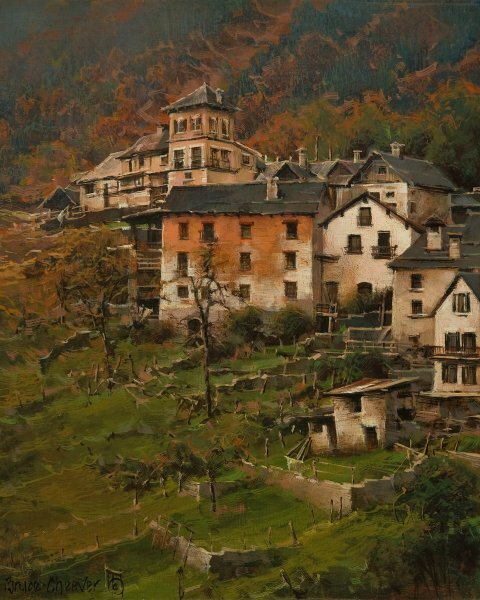 "October Hillside, Fusio" is but one of the many quaint villages to visit through Cheever's canvases.